Sunday-Thursday, 11 a.m.-3 p.m.; Friday-Saturday, 11 a.m.-7:30 p.m.
You don't have to journey to Philadelphia to enjoy a genuine Philly cheesesteak. In Corolla, NC, just 3 blocks from the pristine shores of the northern Outer Banks, you’ll find Philly Steak Subs restaurant. 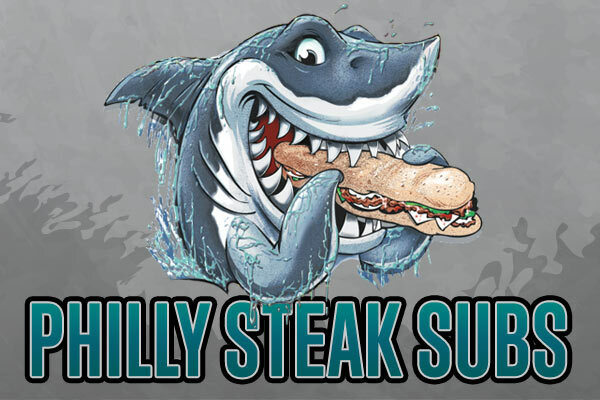 Owned and run by a transplant family from the City of Brotherly Love, Philly Steak Subs offers authentic Philly fare in a casual, spirited atmosphere. We use only the finest ingredients, including quality meats and the most crucial facet of any genuine Philly cheesesteak — Amoroso Rolls, so you can be sure your experience is the real deal. Keep it classic or try it with Cheez Whiz, bacon, BBQ sauce, ranch or a multitude of other toppings. Or try one of our hoagies, proudly made with Boar’s Head meats and cheeses. If you’re not in the mood for a cheesesteak or hoagie, just look a little further down the menu. We also offer wings, burgers, salads, and super-savory Philly cheesesteak egg rolls. Lagers, IPAs, ales – we have them all! Enjoy your meal with a beer from our extensive list of 13 craft brews and settle in. The draft beer options change weekly with several local varieties. We also serve bottled beer, wine, and mixed drinks. Make it a family affair. We offer a kids’ menu fit to satisfy the pickiest of eaters as well as classic bottled sodas and arcade games even you, the parent, will be tempted to play. Looking to watch the big game with family or friends? Come on over and watch your favorite teams play on our flat screen TVs while you eat or have a drink at the bar (we hope you don't mind Phillies baseball). Philly Steak Subs is located at 807F Ocean Trail, Corolla, NC in the Monterey Plaza Shopping Complex (In The Food Lion Shopping Center). Philly Steak Subs is a casual, family-friendly restaurant that serves lunch and dinner seven days a week from April through October. With ample parking, self-seating, and a large sports bar, it is a great spot to meet family and friends and start your vacation. We bet you’ll be back again!